Tom Loeser has been head of the wood/furniture area at UW-Madison since 1991. He holds a BA from Haverford College, a BFA from Boston University’s Program in Artisanry and an MFA from the University of Massachusetts Dartmouth. Loeser designs and builds one-of-a-kind functional and dysfunctional objects that are often carved and painted and always based on the history of design and object-making as a starting point for developing new form and meaning. He has received four Visual Artist Fellowship Grants from the National Endowment for the Arts. In 1993 he spent 6 months in Japan on an NEA Creative Artist Exchange Fellowship. In 2003 he spent 6 months teaching and researching in London. 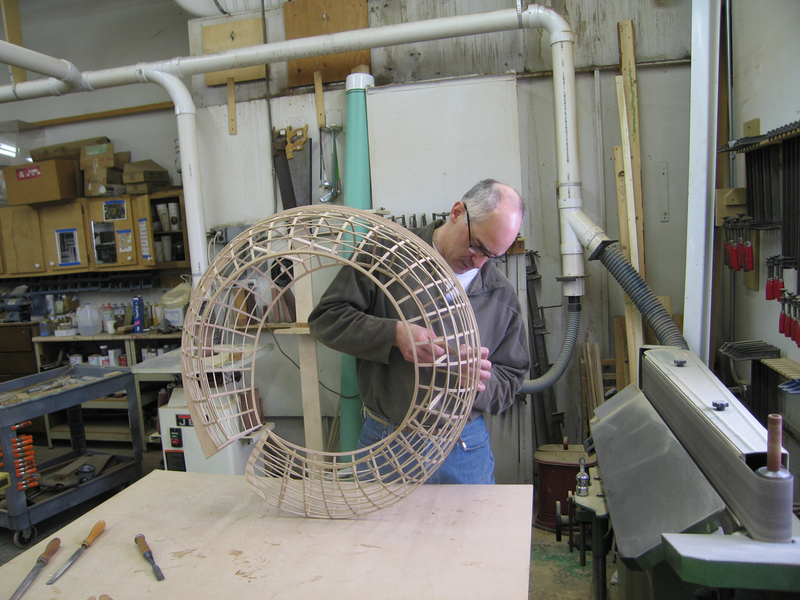 In 2010 he collaborated with his wife, Bird Ross, on the design and fabrication of the highly kid-friendly, very interactive, and not at all traditional reception desk for the new Madison Children’s Museum. In 2012 Loeser worked with willow furniture maker Dave Chapman and built three large willow and steel pod forms that are permanently installed reading retreats in the children’s section of the new downtown public library in Madison, WI. He collaborated again with Bird Ross on the Stoop Project as part of the 2013 Wisconsin Triennial at the Madison Museum of Contemporary Art. The Stoop Project is based on the interactive and community building nature of stoop culture and offered an unusual version of public seating in the lobby area of the museum.